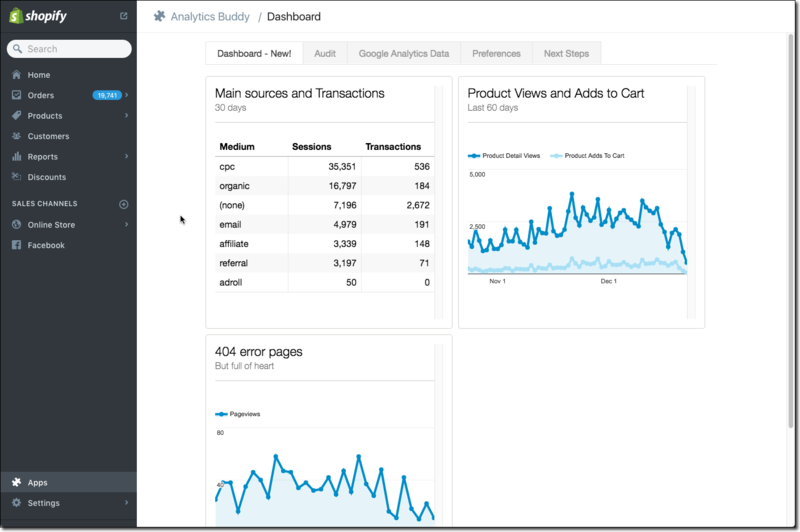 Create a beautiful dashboard with the full power of Google Analytics at your fingertips right inside your Shopify admin. No need to log in to some other app or website and lose context of what you are working on. Not sure if your Google Analytics is properly set up? When you install Analytics Buddy it checks common tracking and configuration issues. Don’t have time fix it? Have us do this for you! Want to go beyond the default data collection and reporting? Analytics Buddy is happy to oblige with advanced site search tracking, custom metric collection and more. Here is a quick demo!